There is always a strong battle between creativity and a small space. Bathrooms that are only 0.5 with a narrow space can be quite a challenge when it comes to interior design and decor, but today at homify, we are going to show you how with some innovation, you can create the most stylish bathroom on the block. By picking five of the top small bathrooms from around the world, designed by some of the top professionals, we will learn how we can truly work with a lack of space. 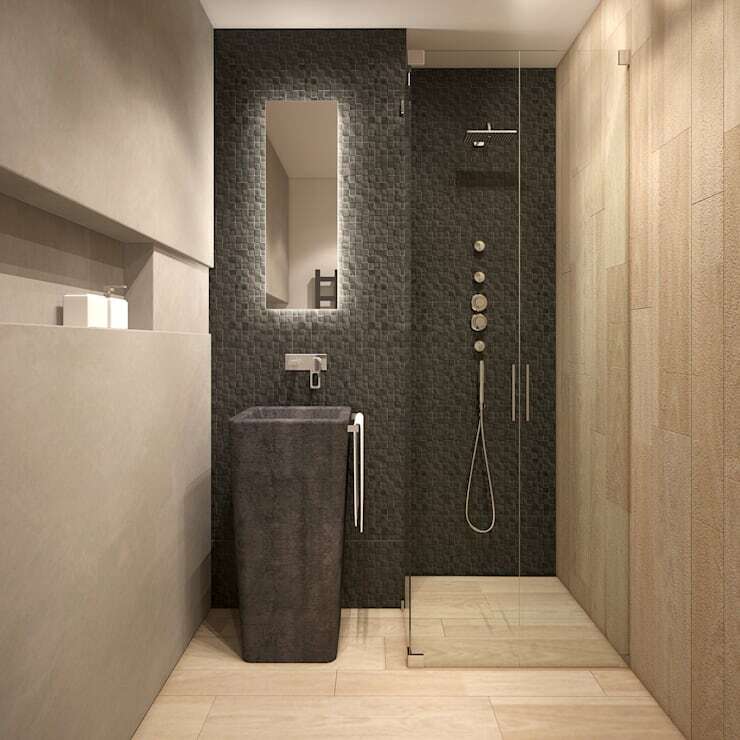 Despite the small size of the bathroom, everything that you need is in this modern and elegant design. The chic and stylish shower is expansive and functional, thanks to the open plan design and glass door. The touches of grey enhance the very natural look and feel so that this space looks like a little cocoon where you can escape from the rest of the world. There are several elements involved in the excellent design of this bathroom. Most notably is the interior lighting that illuminates the shelf, as if the sun is shining! 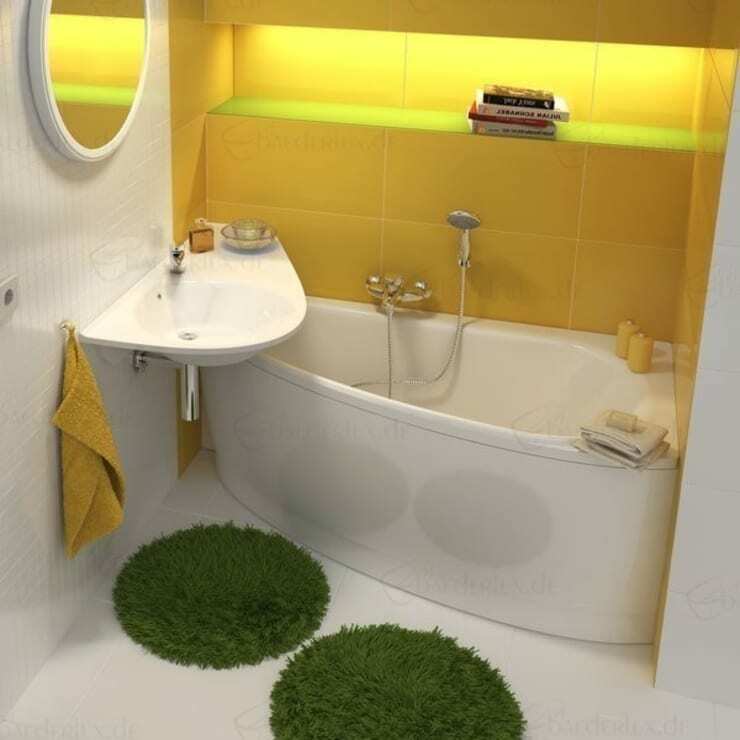 The green rugs looks like little patches of grass, making the bathroom that much more dynamic and remarkable. The yellow wall and lighting makes it seem like the sun is shining on the little green patches, growing them naturally. 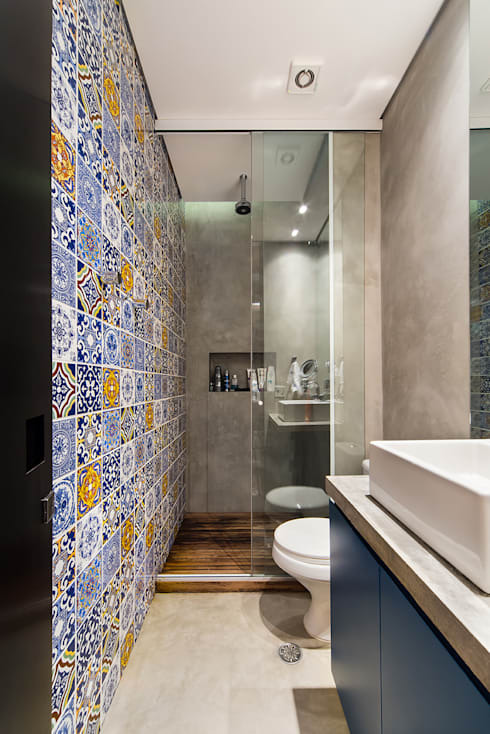 Designers, Casa100 Architecture, have taken advantage of every corner in this bathroom! Even the space between the sink and the shower hasn't gone to waste! It has been used to install a toilet. Inside the shower, shelves have been installed so that personal products can be stored neatly in a space that is easily accessible. 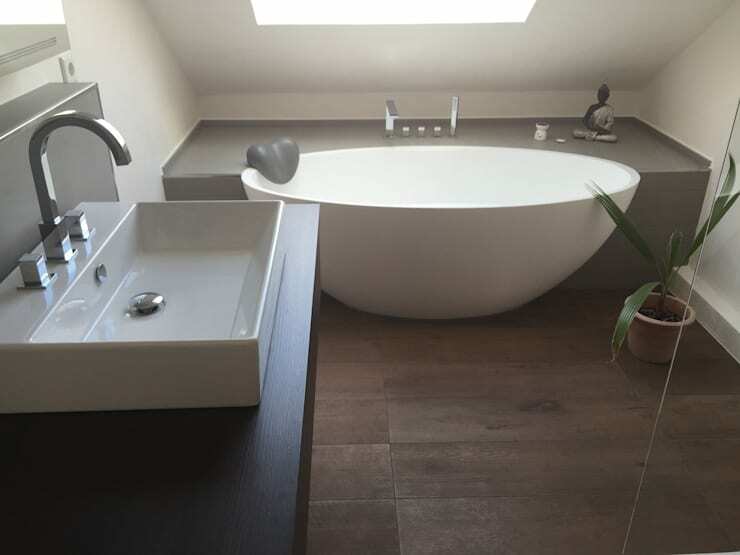 In a small bathroom, the environment can become stifling, dark and dingy. This is why the designers have installed an open ceiling or skylight, which opens the room up completely, flooding it with natural light. Imagine starting every morning inside this gorgeous bathtub! These experts have used a clever ploy in this bathroom, by installing colored walls, which adds an exhilarating look and feel to the environment. This also draws the attention away from the fact that this bathroom is narrow and small. This is a very creative way to distract the eye! Also have a look at these: Bathroom options that will floor you.